Commuting to work, running errands or planning a joy ride? Dirt bikes can do it all and more! In the recent past, dirt bikes have been gaining popularity among the masses. It is true that public transportation is a viable option for those who do not own cars. However, dirt bikes offer added convenience and accessibility. Not only are they a fast and efficient mode of transportation, dirt bikes cost significantly less and are more environmentally friendly compared to cars. Riders also face less traffic congestion and are not too concerned about parking (or the lack thereof). These nifty two-wheelers can also be customized with a personal touch of decals, graphics, seat covers, rims, bar clamps, brakes and more according to the rider’s preference. There are a wide range of cheap dirt bikes for kids to suit the different needs and levels of experience. With plenty of affordable options available on the market in 2019, riders are truly spoiled for choice. ​When choosing a gas powered dirt bike, you should know the difference between 2 stroke and 4 stroke engines. As a general rule of thumb, a 2 stroke engine on a gas powered dirt bike has a simple design, accelerates faster as it is lighter, is air-cooled, and has an overall lower cost of maintenance and repair. In contrast, a 4 stroke engine is slightly more complicated, heavier, is water-cooled, has a valve mechanism, has less fuel consumption, but is more stable and handles better. Also, a 4 stroke engine would require a higher cost for maintenance and repair. Your decision to buy a 2 stroke or 4 stroke engine is based on purpose, experience, usage, and financial budget. It would be wise to list out the pros and cons before making a purchase. Like other vehicles, gas powered dirt bike engines are available in different CCs. CCs stands for cylinder capacity or cubic centimeters. For gas powered dirt bikes, they range from 250cc, 125cc, 110cc and 75cc bikes. Generally, the larger the cylinder or the higher the CC, the more powerful it is. Maintenance is also important. Ensure that your gas powered dirt bike is in tip top condition. Regular oil changes, valve adjustments, and tire checks are part and parcel of owning a dirt bike. 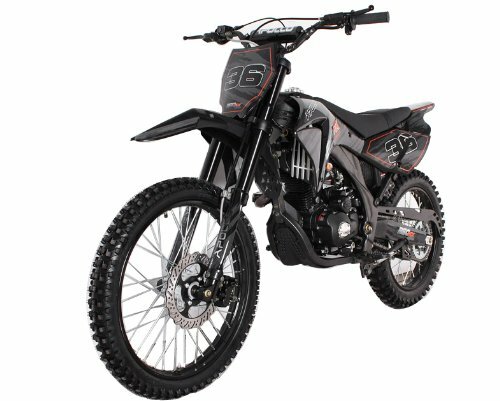 ​The Apollo Agb-36 250cc dirt bike is an affordable option for riders who are looking for a dirt bike with better capacity. Made in China, this 4 stroke engine comes equipped with a single cylinder, and is air-cooled. In terms of power, the Apollo Agb-36 engine has a horsepower of 11.5 kilowatts. It can comfortably reach a speed of 115 kilometers per hour. The Apollo Agb-36 operates via a manual transmission and is easily ignited through CDI with a kick start system. The brake discs for the front is controlled by hand while the rear is controlled by foot. The tire fittings for the Apollo Agb-36 is 21 inches for the front and 18 inches for the rear. The fuel capacity for this 250cc dirt bike is at 8 liters. It can withstand a maximum load of 440 pounds or almost 200 kilograms. The gross weight of the Apollo Agb-36 is 272.8 pounds (123 kilograms). The height to seat measurement is 36.6 inches and the minimum ground clearance is 11 inches. Other things to note about this dirt bike is that it does not have a remote start, a remote engine stop, a remote alarm or a speed limiter. Impress your friends and family with the Taotao DB17 dirt bike! 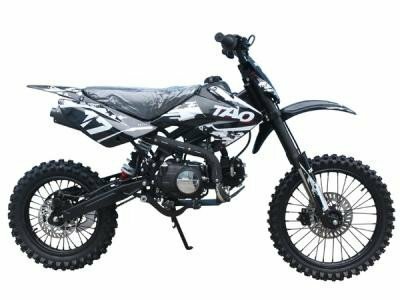 For riders seeking an option for a cheap 125cc dirt bike, the Taotao DB17 dirt bike is a decent two-wheeler that is worth every penny. Equipped with a 4 stroke engine and a single cylinder, this Chinese made dirt bike operates via a 4 speed manual transmission and is air-cooled. In terms of ignition, the Taotao DB17 is kick started and ignites via CDI. The braking system consists of front and rear disc brakes, with the front disc brake managed by hand and the rear disc brake managed by foot. The tire measurements are 17 inches for the front and 14 inches for the rear. As for fuel capacity, the Taotao DB17 can store up to a maximum of one and a half gallons. The net weight of the dirt bike is at 154 pounds while the gross weight is 200 pounds. The dimensions of the bike are as follows: 70 inches in length, 30 inches wide and stands at 43 inches. The wheelbase measures at 49.2 inches, while the seat height is at 30.70 inches. Do note that the ground clearance is at 13 inches, and the dirt bike is for off-road purposes only. Looking for an economical 110cc dirt bike for your kid to romp around during a weekend jaunt? The Taotao DB14 is the perfect off-road choice when it comes to cheap semi-automatic dirt bikes. This two-wheeler is suitable for children, youths and adults alike. Fitted with a 4 stroke engine and a single cylinder, the Taotao DB14 can reach a maximum speed of 40 kilometers per hour (depending on weather conditions and the rider’s weight). The Taotao DB14 uses a air-cooled cooling system, it is kick-started and runs via CDI ignition. The braking system is operated by hand and foot for the front and rear disc brakes respectively. The tire measurements are 14 inches for the front tire and 12 inches for the rear tire. The measurements of this 110cc dirt bike stands at 41 inches tall, 28 inches wide and 63 inches in length. The net weight is at 125 pounds and the gross weight is at 154 pounds. In terms of fuel capacity, the Taotao DB14 can hold up to a maximum of 1 gallon. The wheelbase measures at 43.9 inches, with a seat height of 28 inches and ground clearance is at 11.4 inches. ​Just been introduced to the world of dirt biking? For a cheap starter dirt bike, the Coolster 70cc checks off all the basic needs. Kids, teens, and even adults are able to master the art of dirt bike riding with the Coolster 70cc. It is the perfect choice for new and seasoned riders who are looking for an affordable gas powered dirt bike. This dirt bike is semi-automated, has 3 different gears and is clutch-free. For a more personalized look, the Coolster 70cc can be customized with stickers, graphics and decals. With a maximum speed of 55 kilometers per hour, and a horsepower of 4 kilowatts, riders can cruise on the Coolster comfortably. The Coolster 70cc operates through a kick start system and is ignited with CDI. The braking system on this dirt bike is managed through the front and rear disc brakes which are operated by the hand and foot respectively. The gross weight of this dirt bike is at 48 kilograms while its net weight is 40 kilograms. Please note that the recommended weight limit on the Coolster 70cc is a maximum of 50 kilograms. The tire measurements for the front and rear tire is at 10 inches. The dimensions of the Coolster 70cc is as follows: 1,554mm in length, 680mm wide and 740mm tall. The measurement for height to seat is 40mm and has a minimum ground clearance of 190mm. In recent years, the popularity of electric dirt bikes has increased. Not only is it in trend to be part of a biking community, it is also more affordable to own an electric dirt bike. While gas powered dirt bikes are still very much in use, riders can sometime opt for an electric dirt bike due to its ignition method. Unlike gas powered dirt bikes, electric dirt bikes are ignited with the turn of a key and the push of a button. This straightforward ignition also means there are no issues with revving the engine or trying to gain traction as with gas powered dirt bikes. Do keep in mind that there are fewer options for electric dirt bikes in comparison with gas powered dirt bikes. Though with proper research, it is still possible to find a decent deal. As electric dirt bikes run on rechargeable batteries, riders would need to check the batteries before usage. It is recommended that you monitor the lifespan of the batteries, and replace them as needed. The use of batteries in electric dirt bikes also means that there are zero emissions. This makes electric dirt bikes a preferred choice when it comes to being environmentally friendly. For a hitch-free ride, certain electric dirt bike models are designed with fixed speeds. 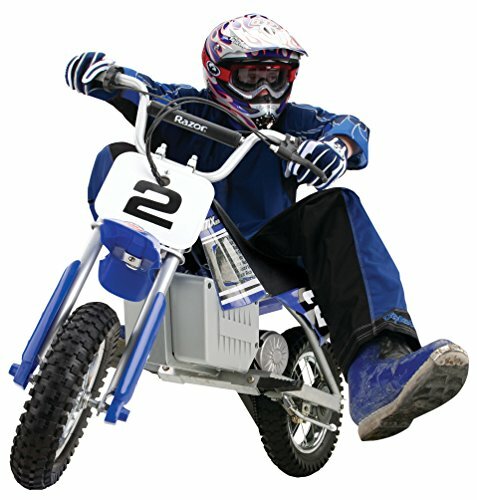 Electric dirt bikes are available in 12v, 24v, 36v, and mini versions. Been scouting for an affordable yet exciting electric dirt bike? The Razor Dirt Rocket MX350 is a budget friendly 24V electric dirt bike that promises better stability with increased power. It is steel constructed and offers better handling and balance. It is also suitable for those who are looking to trade up for a bike that has more power than a 12V electric dirt bike. Built for kids aged 13 and above, this single speed electric dirt bike can go up to 14 miles per hour. Off-road worthy, riders can explore different terrains. Riders can customize the Razor Dirt Rocket MX350 with additional decals and stickers for a personalized look. The Razor Dirt Rocket MX350 is fitted with a twist grip accelerator control and adjustable riser handlebars. The braking system on this electric dirt bike is hand operated with disc brakes for the front and rear tires. The bike has large pneumatic knobby tires for better traction. Unlike its gas powered counterparts, the electric bike runs on two 12V batteries. As such, the electric dirt bike is environmentally friendly, emission-free and promises a quiet ride. Geared up for an unforgettable experience at a modest price tag? Dirt bike enthusiasts would have definitely heard of the motocross champion, Jeremy McGrath. Now, riders can own a 36V electric dirt bike inspired by the man himself. The design of the Razor SX500 McGrath electric dirt bike is influenced by the seven time champion, also known as the King of Supercross. Riders are able to enjoy a genuine dirt bike frame and a high-torque speed motor. This electric dirt bike can get up to a speed of 15 miles per hour. Riders can use the electric dirt bike for up to 40 consecutive minutes. To ensure a comfortable ride, the Razor SX500 McGrath is equipped with dual suspension and riser handlebars. The braking system is hand operated, with dual disc brakes. Riders can enjoy an off-road experience on various terrains. The large pneumatic knobby tires offer good traction with stability. A retractable kick stand is also installed for the rider’s convenience. If you are looking for a cheap automatic mini dirt bike, the budget-friendly Monster Moto Classic is worth considering. At only 70cc, it is easy to underestimate the power of the Monster Moto Classic mini dirt bike. Although a mini dirt bike might not be the first choice for many riders, the Monster Moto Classic is fully automated and is an effortless ride. As it is clutch-free, it is especially suitable for kids who are learning to ride for the first time. Furnished with a four stroke engine, this 2.5 horsepower dirt bike can spring a surprise or two! The Monster Moto Classic mini dirt bike is gas powered and is extremely fuel efficient with a full tank at less than a gallon. The braking system uses disc brakes for both the front and rear tires and is hand operated via a cable. The adjustable handlebars are also a key selling point to enable a smooth journey for riders of different heights. Customize with decals, stickers and graphics for a more personalized appearance. The Monster Moto Classic mini dirt bike is built with a rugged, reinforced frame for a durable ride outdoors. With knobby pneumatic tires that have a super grip, riders can enjoy their Monster Moto Classic mini dirt bike on various terrains. 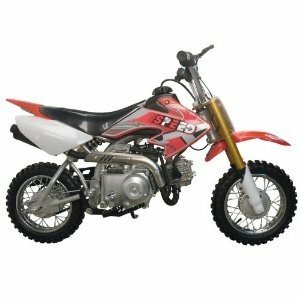 This budget friendly mini dirtbike for kids also come pre-assembled so all you need to do after receiving it is attach the handlebars, add gas and Vrooommm! Complement your teen’s active lifestyle with the Razor MX650 Rocket Electric Motocross Bike! Built with an authentic dirt bike frame geometry with a supercross inspired design, this 36V electric dirt bike is a nifty ride for teenagers aged 16 and above with a recommended 220 pound weight limit. Riders can also customize with decals, graphics and more. Equipped with a powerful 650-watt electric motor, riders can get up to a maximum speed of up to 17 miles per hour on this motocross bike. Additionally, the robust engine ensures more power for uphill and off-road conditions with up to 40 minutes of continuous use. Other features include a twist grip acceleration control, maximum power transfer, quiet variable-speed, and a chain-driven motor. Riders need to note that the Razor MX650 operates on rechargeable batteries, which need to be charged for 12 hours for a full charge. The dual suspension and riser handlebars ensures a comfortable ride for beginners and experienced riders alike. The tire measurements for the front tire is at 16 inches while the rear tire is at 14 inches. The pneumatic knobby tires is perfect for all types of terrain, including off-road riding. With a retractable kickstand and folding metal foot pegs, riders are able to stand their electric bike with ease. The braking system on the Razor MX650 is hand operated with dual disc brakes for the front and rear tires. Do note that some assembly is required before use. The Razor MX650 dimensions are as follows: 56 inch x 24.5 inch x 36 inch. Want to help a young rider gain confidence? The Coolster SSR training wheels are perfect for those who are learning how to ride dirt bikes. These adjustable training wheels are helpful for riders progression as the wheels can be raised. Adjust from 0” to 5” wheel to ground clearance for the rider’s ease and convenience. The training wheels fitting is for all years Coolster and SSR type of dirt bikes. With the adjustable wheel height, the 10” wheel can be mid-mounted. With a safe and sturdy design, these training wheels are tried and tested. Equipped with 10 inch pneumatic knobby tires and ball bearing steel wheel hub assembly, the training wheels are suitable for all types of terrain. Beginners who are new to riding can opt to purchase a cheap used dirt bike before committing to a brand new dirt bike. Once you have decided to purchase a used dirt bike, prepare a budget and decide what is the maximum amount that would be spent on a used dirt bike. Don't forget to include miscellaneous fees such as logistics for transport or pick-up, customization you plan on doing any and other additional fees just in case. When this is done research the type or model of a used dirt bike you require based on the purpose and level of experience of the rider. With these two factors, it is easier to negotiate with resellers and make a swift purchase. First, check out online sellers or resellers such as eBay, Gumtree, Craigslist and other similar sites. Riders who are looking to trade in or trade up often list their used dirt bikes by location, specifications, and other things to note about the used dirt bike. It is also recommended to request for a test ride and negotiate with the resellers before making a final decision. Remember that photos are not a reliable source of information and buyers should always endeavour to examine the physical dirt bike before committing to a purchase. Secondly, join a biking community in your neighborhood. Biking communities are a great source of information to find out more about various dirt bike models. By joining a biking community, riders become savvier about the latest trends, market rates, equipment, customization and in-depth information about used dirt bikes. To sum it up, dirt bikes are practical for commuting and leisure activities. Compared to public transportation, dirt bikes are a viable alternative for city folks who do not own a car. For families, dirt bikes are also an exciting gift for active children. With a lower cost of maintenance compared to cars, dirt bikes are more affordable. The increasing number of dirt bike models available on the market has led to the emergence of many biking enthusiasts and biking groups. Though the initial supply and demand were for gas powered dirt bikes, innovative technology has introduced electric dirt bikes. Additionally, the production of electric dirt bikes is an environmentally conscious decision as electric dirt bikes do not produce emissions. 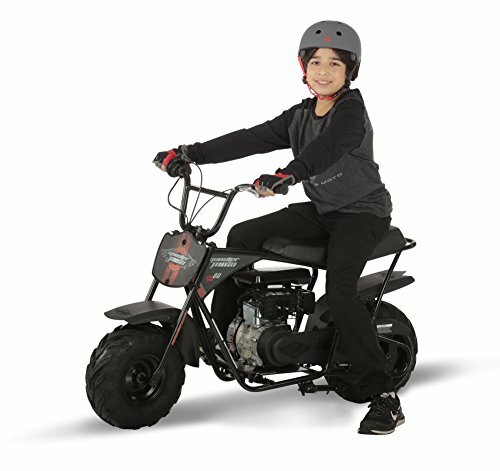 If you feel your child isn't ready for a dirtbike, you can consider getting them a stunt scooter instead.